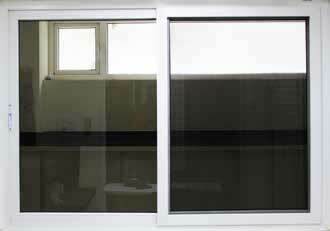 Sliding windows are very popular in India due to multiple benefits such as Fly mesh option keeps the house mosquitoes free, low maintenance, easy to operate, energy efficient and noise reduction. Sliding windows are available without mesh Eco model ie; one Sash with glass in fixed and one Sash with mesh also fixed. Only on Sash with glass with slide. This design in ideal for ground floor / factories.